One of the seven emirates of UAE, Dubai is a sought-after tourist destination on most bucket lists. Known for its unparalleled modern architecture and luxurious lifestyle, the city is a shopping hub with an amalgam of luxury brands and labels. It has also curated a range of activities to indulge in and flaunts an array of scenic places you can visit. Here’s a list of Top 10 Things To Do in Dubai. Dubai is well connected to all the major airports in India and all popular Indian carriers have regular flights. Jet Airways, Indigo, Gulf Air and Emirates are some of the airlines that operate flights from Hyderabad to Dubai or Delhi to Dubai. You can find best deal for Hyderabad flights to Dubai by booking online and if planned early, you can save some money on the flight tickets and spend it on shopping. The Burj Khalifa is one of the famous landmarks in Dubai and the tallest building in the world. The building has an exclusive viewing deck at the top, from where you can view the beauty of this city as a whole. You can also view the picturesque synchronized water fountain at the foot of this building. The Dubai Creek is a scenic beauty to behold. You can ride across this saltwater creek on one of the vintage roofed boats from Bur Dubai Abra station to Deira which is also know for the Spice Market. You can sample a number of delicacies from an array of the world’s cuisines. Desert safari is on everyone’s Dubai bucket list. Learn and experience the Bedouin lifestyle while you tour the sand dunes in SUV’s. 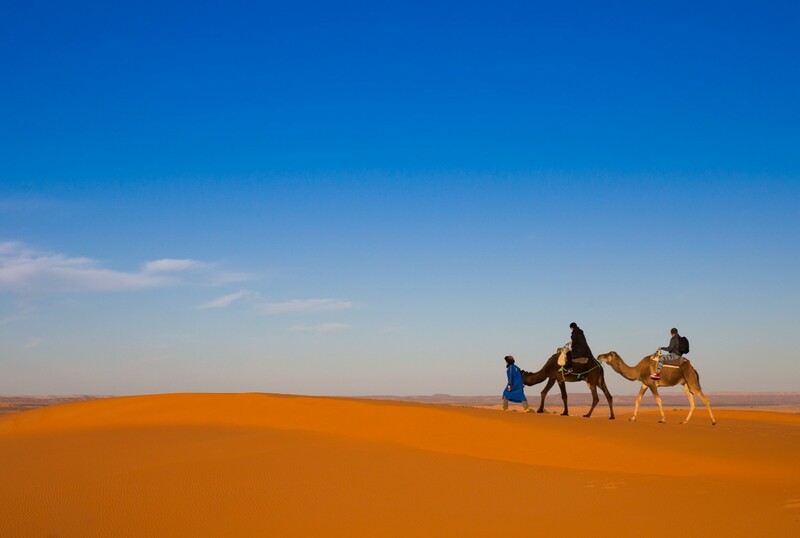 A number of agencies in Dubai offer desert safari packages. You can also visit the Bedouin campsite and gorge on flavorful shawarmas. The fountains outside the Mall are astonishing and a major tourist attraction. Like The Bellagio Fountains in Vegas, the show involves a musical repertoire with a light show in the evenings. There are a number of restaurants and hotels around the Dubai Mall with a view to this fountain show. You can book a table in one of these places and enjoy the view while you dine. Ski Dubai is the world’s largest indoor ski resort attached to the Mall of Emirates. It features five different slopes of varying difficulty levels. Even if you are a beginner, you can still try out skiing for the first time here. This resort also features live penguin encounters and an ice cave to entertain kids. Spend a fun-filled day at this water park as you experience one of a kind aquatic roller coaster. 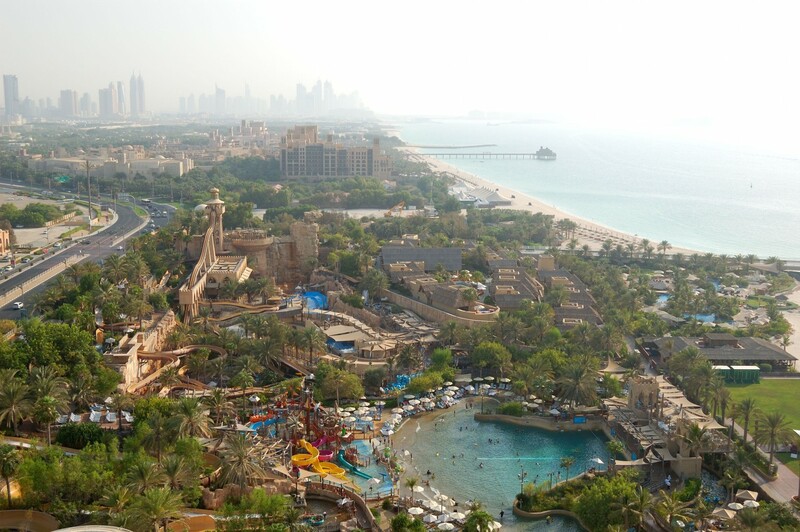 This water park is equipped with a number of thrilling rides such as the Burj Surj tube slides, the whirling Tantrum alley, state-of-the-art surf machine, and the splash-tastic water guns and racing slides for the kids. This restaurant is a must-visit on your trip. It’s among the city’s renowned and longest-serving restaurants. A humble place but it definitely serves delicious Pakistani food. You can spend a fun evening at the underwater zoo which displays a number of beguiling nocturnal desert animals and see the saltwater crocodiles up-close. You can walk beneath the aquarium tunnel which stretches to a length of 48 meters. If you are travelling with kids, KidZania is a place you should consider visiting. This play club is also located in the Mall. Here, kids can involve themselves in role-play activities like mimicking a fireman or pilot and is a fun experience for kids of all ages. This center was founded by an Emirati man who married a European woman. You will gain a lasting cross-cultural experience here, with a whole new perspective about Islam and the cultural exchange between the two people from polar backgrounds. What would you add to your Dubai bucket list? So in Dubai, I’d choose Desert camping. I’d be fun to unwind underneath the stars encircled by golden sand throughout. I question how it might be round the full moon night to discover the layers of dunes. I missed a specific chance in Wadi Rum in Jordan. Off-roading is the one other adventure that’s worth doing in dubai trip. It is actually adventurous along with the heart increases minimizing because the vehicle increases minimizing.